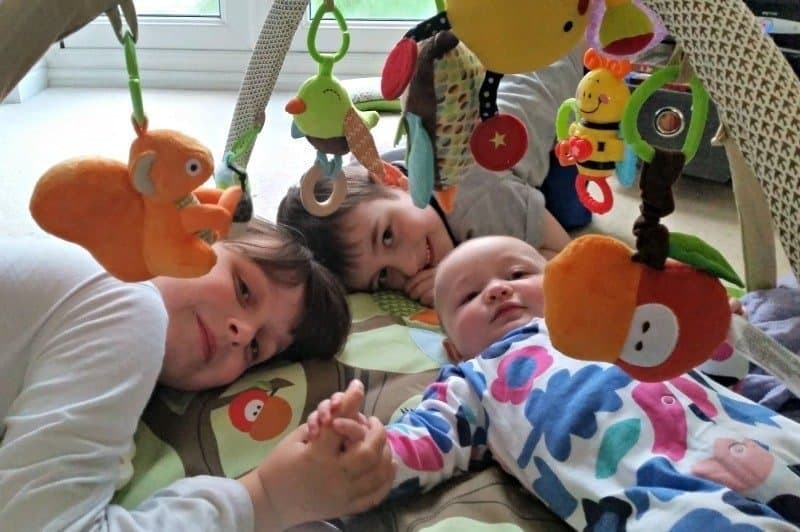 Having three children in three different age groups means that they are often off doing something completely different to each other. Roo is often found in her bedroom listening to music or dancing around. Tigger will be playing with his trains or be battling his way through Skylanders. Whilst little Piglet will be attempting to roll across the living room carpet when my back is turned. That’s a really lovely shot of them all, especially with them holding hands. Very sweet. Awwww- beautiful. I am sure this is the start of the beautiful relationship – which of course means they’re fighting like cat and dog one minute and best of friends the next. Just make sure you take the time to cherish good times. What a cute photo! Nice to see siblings together looking like they are enjoying themselves.